February 6 2016 Back in the running! The last time I ran was on January 26th until today, when I went for an evening jog of two miles. I managed to do 26 days of running during Janathon and 5 days of walking. My cold was persistent and brought my energy levels down. I went for a couple of late night two mile walks after Janathon but that was it! The 2 mile run tonight felt fine and my pace has not changed from previously. The challenge now is to train up for Cambridge half marathon in three weeks time. As long as I can run consistently I will only need to run a variety of 2 milers, 5-6 milers, a couple of 10 milers and perhaps one 13 milers and that should be it. I’ll probably do them randomly or possibly take advice from the Wise Old Owl who flies beside me at night and offers sage counsel. Final Janathon 2016 total : 95 miles including 10 miles of walking. Last year I did 104 miles and I recorded the 2014 Janathon at 95 miles, the identical mileage to this year. The secret of my successful increase in mileage last year? Brussels sprouts and plenty of them. An unusual occurrence today. I missed parkrun due to a family occasion. We went to an auction and very interesting it was, too. We stayed about an hour and sat around an enormous modern table (board room size) on pink suede chairs (everyone sits on the various chairs which are parts of lots} Our particular lot was originally £14,000 (with a sideboard) and went for about £3,500 including VAT. No obvious good taste was discerned. 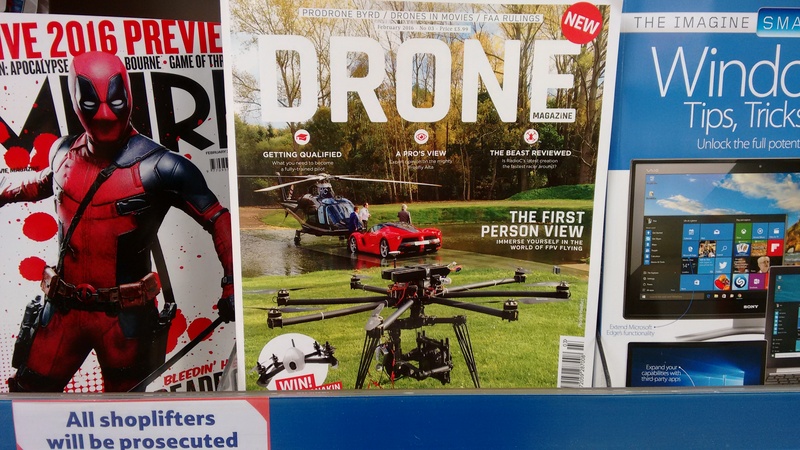 At last, a drone magazine in Tesco and it’s called DRONE magazine for simplicity. Too expensive for me to buy at £6 (I bought a small mountain of Brussels sprouts instead), it’s sure to kick start an avalanche of drone purchases.They’ll soon be as common place as wild birds only a lot more dangerous. I was in a hurry and flipped through it for a few seconds only. Unsurprisingly it featured many pictures of drones and also young men operating them, looking at them and standing around, probably discussing them. Possibly I got the wrong impression. I’ll do some more research. Cold, dry and sunny this morning. I took the opportunity to continue building a rabbit proof fence for ninety minutes and then went for a run in the afternoon, just ahead of the rain. I did 8.5 k (to the edge of the river Cam and back) which was enough today. The fence construction is giving me a little backache so I’m doing hip flexor stretches which is helping. Note to self : do more stretching. 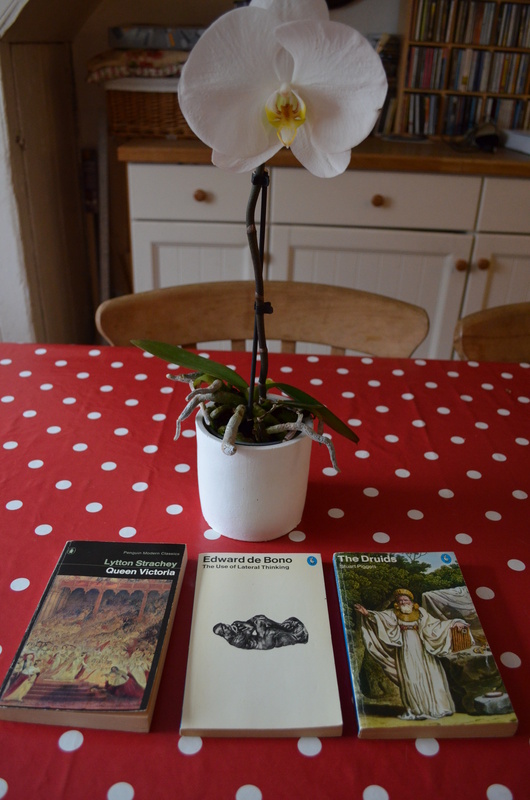 Wimpole Estate parkrun yesterday which explains the appearance of these three Penguins I rescued on the 30p table which sits outside the second hand book shop, in the open but under the over hanging court yard roof. Any further description would require a little drawing. Suffice it to say they should be kept in a warm but well ventilated room not partially exposed to the elements. I also rescued this orchid (Phalaenopsis) earlier in the week. The garden centre was selling it for £3 because part of it had rotted and the leaves were sparse and damaged. It may or may not survive but it’s a magnificent thing despite being poorly. It looks like a bookish plant so it’ll be in its element. I wasn’t displeased with my parkrun time. The grass course was mainly dry and firm and the temperature reached 10-11c which meant I had to take my running jacket off during the race. I did this by executing a series of elegant manoeuvres and rakishly tying it around my waist. I walked up the short but vicious hill and avoided getting pranged on the horns of the long haired cattle the National Trust has imported to intimidate runners. I managed to nod my appreciation or actually articulate the words “thank you” to the encouraging marshals including the one who said “well done, you’re still looking fresh.” Clearly this was the opinion of someone whose judgement in these matters was extremely suspect. I ignored the urge to stop and remonstrate with him. I make looking as if I’m about to collapse into an art form. I can’t have people randomly commenting I look “fresh”. Carol Morley is the director of a new film called The Falling which is out in the UK at the end of April. She has a fascination with mass psychogenic illness (mass hysteria) and her film tells the story of a fainting epidemic. The article in the Observer http://bit.ly/1IIfFsX is well worth reading. Cambridge junior parkrun this morning. Unfortunately the loss of an hour with the clocks going forward combined with the rain more than cut numbers in half. Nevertheless, as usual, the children and adults had great time. There had to be a down side to today. Tesco had entirely run out of Brussels sprouts. I narrowly avoided exhibiting The manager should fall on his sword! Yes, it’s Mr Cool Running here. I’ve seen the future and it’s orange. I give tips, too. Best diet? Eat less. Want to run faster? Increase your speed. Having relationship problems? Make up fast. Constipated? Eat Brussels sprouts three times a day until I tell you to stop (or you explode). 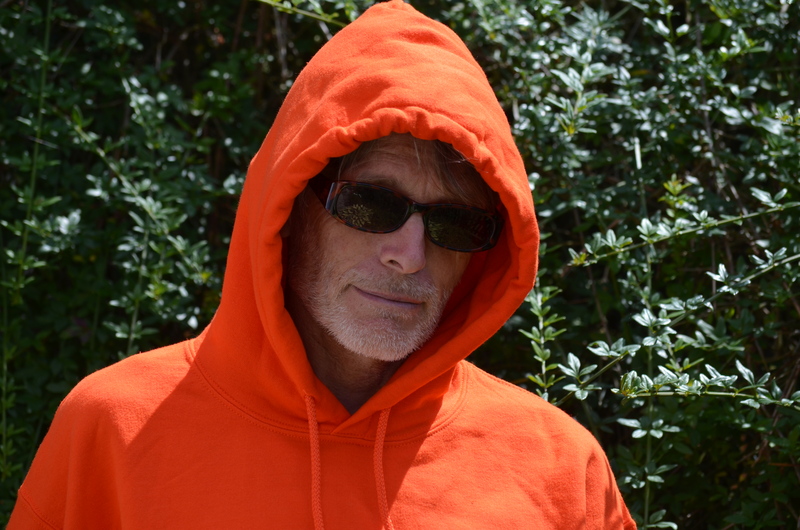 Simples being a running agony uncle when you don an orange hoodie. You positively reek of authority and wisdom. For the past two evenings, I’ve been out running after I’ve eaten or rather I’ve not left sufficient time for digestion. So my stomach hasn’t felt comfortable. What advice would I dispense to myself if I chose to put on my guru hat? Eat after the run. Simples. 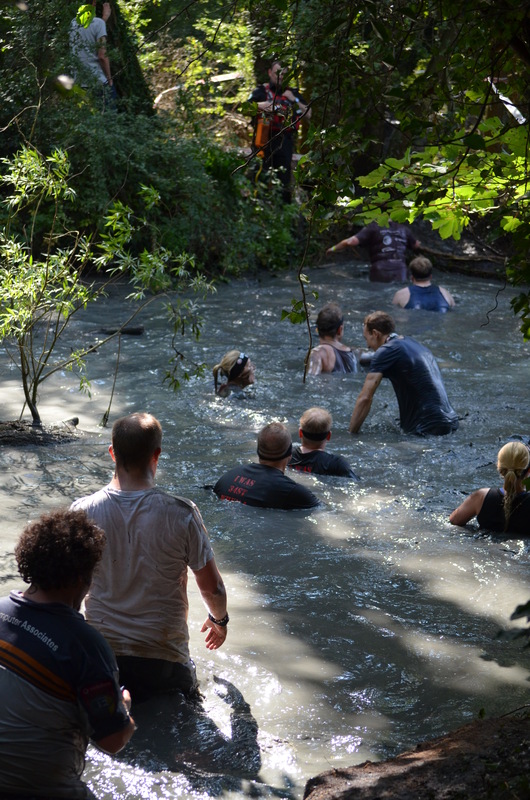 Hopefully, we’ll do Wimpole Estate parkrun on the weekend. Unfortunately Wimpole Estate management stop access to the parkland when winds are above 50 mph and current forecasts predict 53 mph. Unless wind speed forecasts reduce, parkrun may be cancelled. Thus depriving me of a lovely run plus a visit to their impressive second hand bookshelf. Despite Wimpole being 12 miles away, Cambridgeshire’s flatness allows sound to travel long distances. On a quiet day, I often hear the books calling to me and begging to be rescued. I hope I don’t disappoint them. 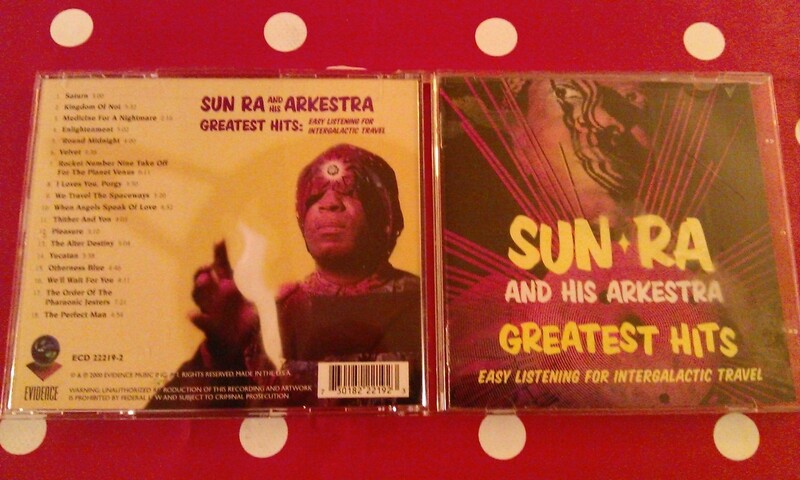 What could be better than going for a run, cooking a meal featuring Brussels sprouts and clearing up whilst listening to Sun Ra and his Arkestra (Easy Listening for Intergalactic Travel). If you like jazz, he may be to your taste. If you don’t like jazz, you’ll run off screaming for mercy. I use him to clear the kitchen of unnecessary personnel. Ms Alive and Running is not a fan unfortunately. Just a two mile default run today. I ran in the dark and didn’t meet anyone. The temperature has risen substantially again and it wasn’t cold. I felt fine and could have continued running if time allowed. The only problem is that running consistently seems to have increased my appetite in the evening. I’ve put on around 4 pounds over Christmas. With my present level of eating I may not lose it before the end of Janathon. Just over 2 months to Cambridge Half Marathon which I’m looking forward to. I’ve got out of the habit of doing long training runs but I will have to start soon.